Leo Burnett Thailand has created two powerful ads for the Center for the Protection of Children’s Rights Foundation (CPCR) in Bangkok. 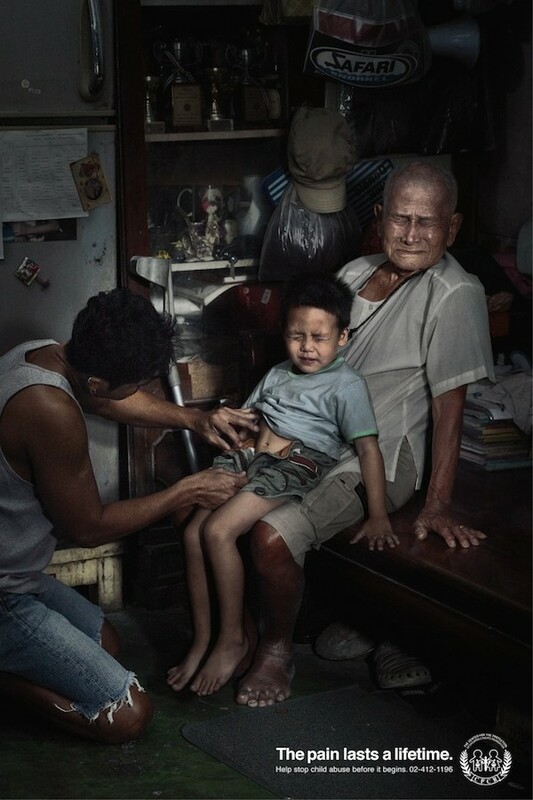 The ads show a young boy and a girl being sexually abused with their traumatised elder (future) versions behind them. The objective was to highlight how the pain of child abuse lasts a lifetime. Check them out below. Striking art direction by Leo Burnett. Perhaps a third ad with a female child abuser would have effectively completed the campaign.